It's become a major tradition within many marriage ceremonies: the unity candle. 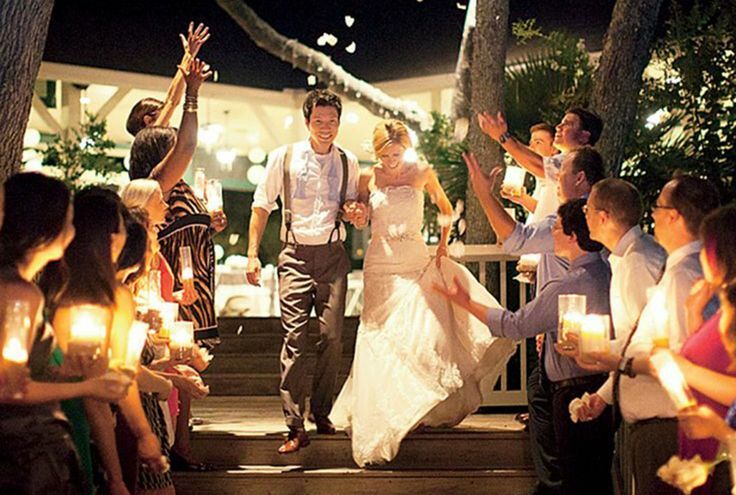 The wedding couple lights a candle together to symbolize them coming together. However, in a never ending effort to be different, many couples are looking for an alternative. The idea of coming together and symbolizing the union can be a very special moment however, and many couples still want to symbolize that. 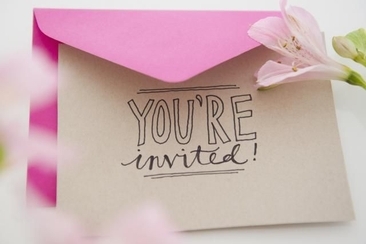 Whether you're going for something a little more non-traditional, or think unity candle seems outdated, we have a few alternatives that may be perfect for your big day. This is an interesting take on the unity candle. It's unique and inclusive, symbolizing the bringing together of the couples' friends and family. Everyone in attendance has an unlit candle. First, the couple lights the unity candle. Then, each of them lights a candle held by their wedding party, or whoever is sitting in the front row. The candle flame is then passed from person to person, until everyone's candle is lit. It's an intense and possibly emotional gesture, suggesting that everyone is connected. This unity candle alternative is perfect for those who love the libations. 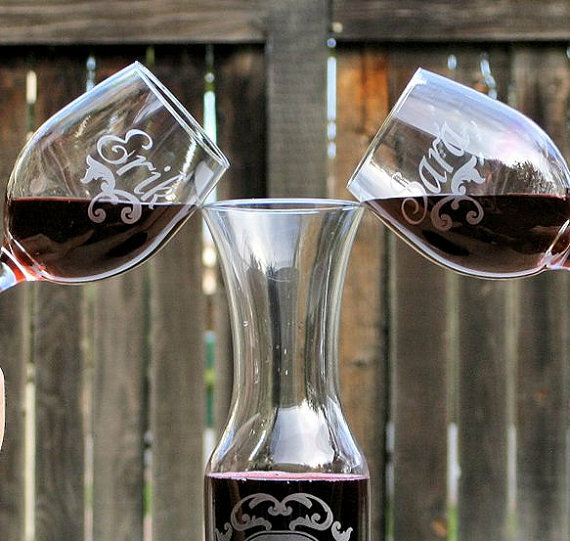 Pick your favorite alcohol (wine or beer) and pour two bottles into one vessel. If you choose beer, pour the suds into a pint glass. If you choose wine, take two different wines and pour them into a carafe. This makes the perfect blend of two very different wines. Perfect symbolism for any couple. This tradition comes from the middle east, but would be a perfect option for couples who share a love of food. The couple chooses seven spices that symbolizes what they hope for in a marriage, then pour those spices into a bowl or vase. 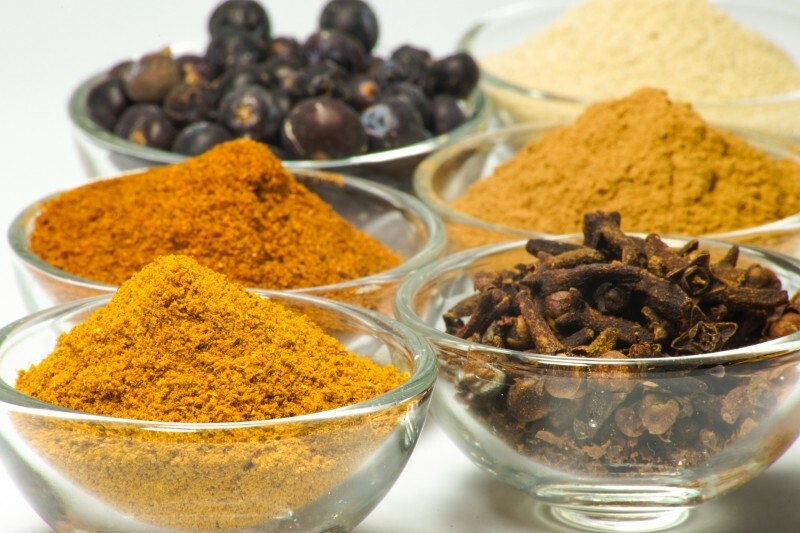 The couple later can use their specific spice blend during cooking in their home. The spices stand for different meanings, for example garlic for safety, nutmeg for romance, bay leaves for an extra spark, rosemary for prosperity and Paprika for a little extra passion. This is a popular unity tradition among Irish couples. Handfasting, or binding of hands, is an ancient Celtic tradition. It's another example of a couple coming together to become one. You can either buy the rope, or make your own with ribbons (colored or not) that appeal to you. While not confirmed, this is believed to be one of the opinions of where the term “tie the knot” may have originated. This alternative to a unity candle ceremony is all about purification. 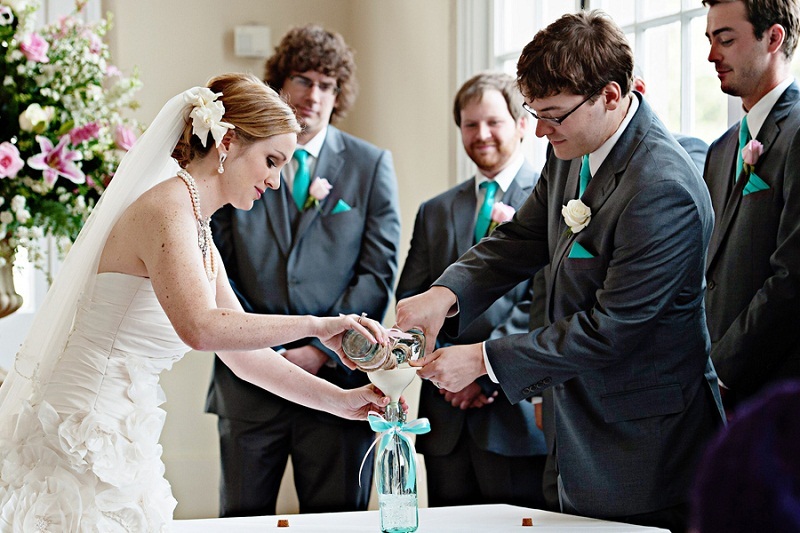 In a hand washing ceremony, the person officiating the ceremony pours water over the couples' hands. This symbolizes washing yourselves of all your missteps, and starting fresh and clean in your new marriage. It's a beautiful sentiment where the couple gets to show each other they want to start fresh, and become new people after their union. 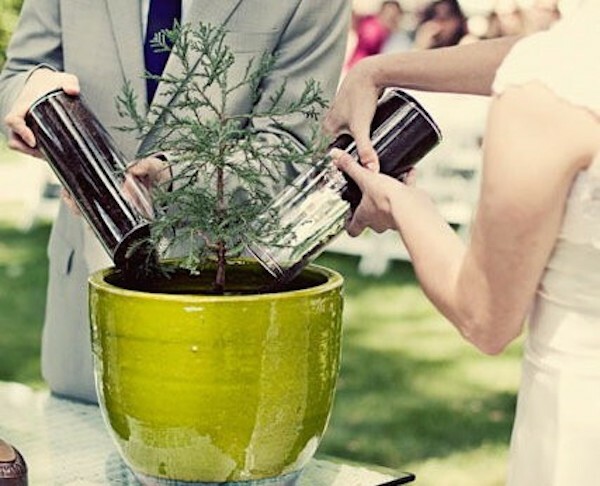 Of all the alternatives for unity candles, a joint tree planting is perfect for an outdoor wedding. This is also a great option for nature lovers. The couple plants a small tree in a large bucket, pot or vase. The planting of the tree represents the roots you're putting down as a couple. If you have a backyard, take the tree home and plant it, and then watch it grow over the years. What a happy thing! This is such a cool idea for a southern or country bride. 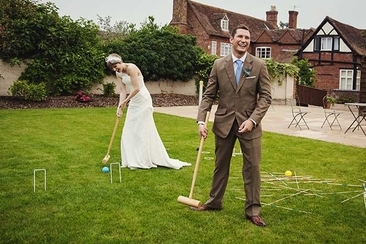 It fits in perfectly with a fun, outdoor, casual wedding. 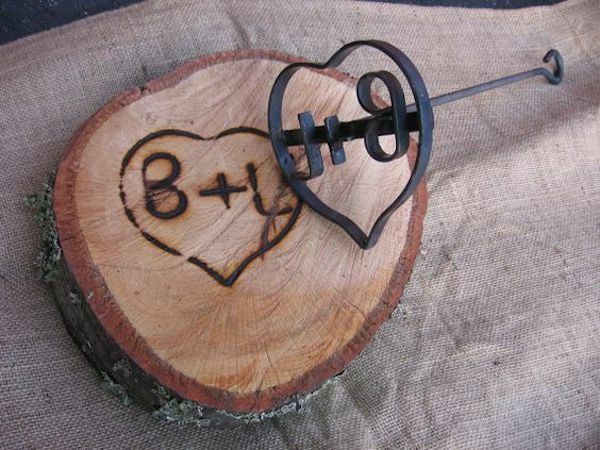 Create your own design, heat it up and stamp it into a piece of wood. It will definitely be a great customized art piece to hang in your home after the wedding. A beautiful sentiment that will pay off in years to come. 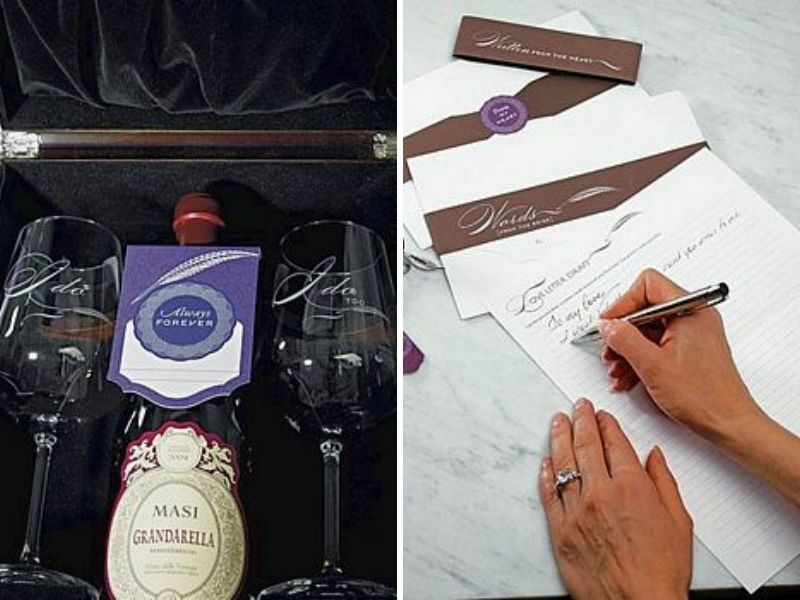 The couple writes a love letter to one another, and locks it in a box with a bottle of wine. Years later, on whatever anniversary you choose, open the box, drink the wine and read the love letter for one another. This is a unity ceremony that will remind the couple years down the road how they felt on the day they got married. Keep the spark alive! This is a more visual twist on the unity candle. Each person takes a glass with colored water. The couple then pours the water into a larger vessel, creating a new color. It's a nice take on a traditional unity ceremony. As far as alternatives for unity candles usually go, the sand ceremony is generally the most popular. It's a great option for outdoor weddings, where you don't have to worry about the wind blowing out the flame. It can also be a really nice and appropriate touch for a beach wedding. 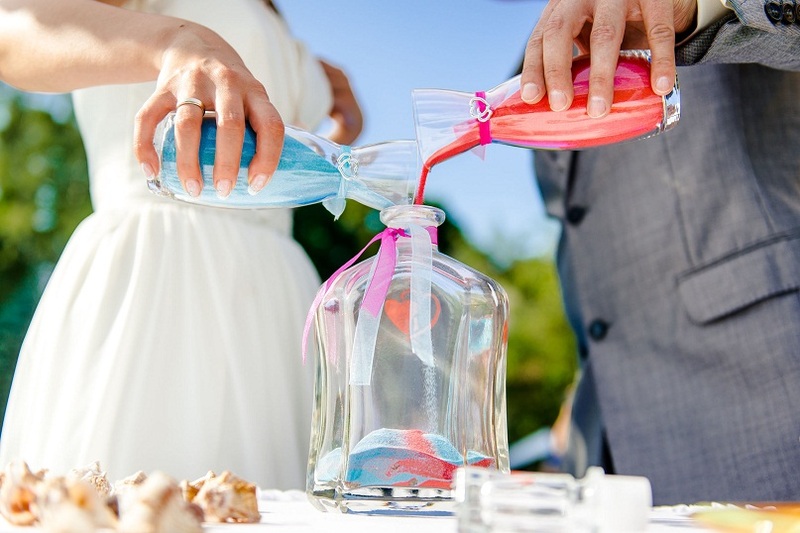 The couple alternates pouring different colors of sand into a box or vase, making a beautiful pattern. You can always save the sand art and display it in your home as a reminder of your big day. Another great way to remember your wedding day years and years down the road. The couple can put whatever they want in the box. It can be love letters, mementos from when they dated, things they wish for in their marriage or thoughts and prayers from loved ones. Seal the box at the ceremony, and then open it up on an anniversary. 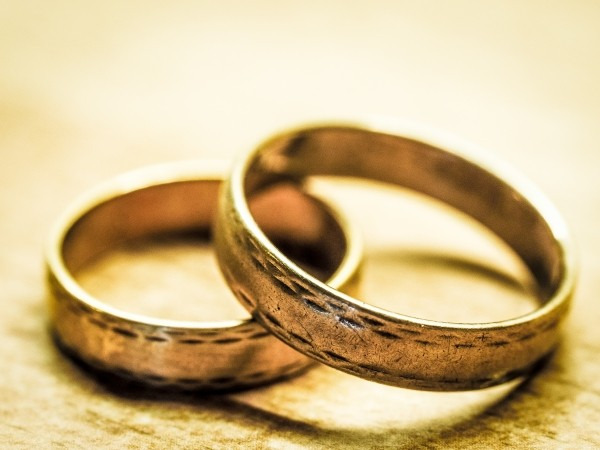 It's a great idea to help the couple appreciate each other after they've been married for a long time. 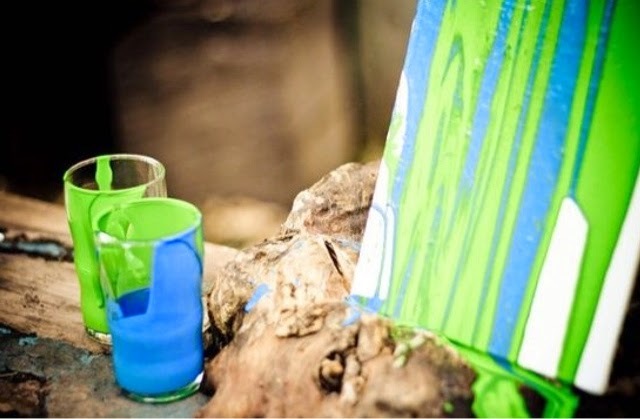 In this unity candle alternative, the couple picks two different colors and paints, or pours, the paint onto the canvas. It's a great way to have a lasting memory from the big day and can be displayed as art in the couple's new sweet home. This is a very cool and inventive idea. During the ceremony, the couple's rings are passed around to all the guests. They take a moment to either devote a prayer or well wishes to the happy couple, and then pass it on to the next person. Everyone in attendance gets a chance to send love to the happy couple. 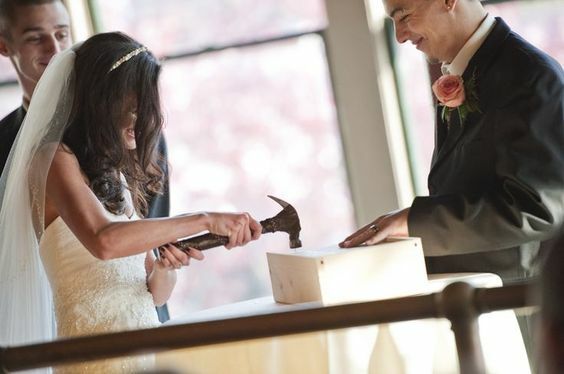 However, it's probably a good idea only to do this at smaller ceremonies. You should also have someone in charge of the rings to make sure they don't get lost. 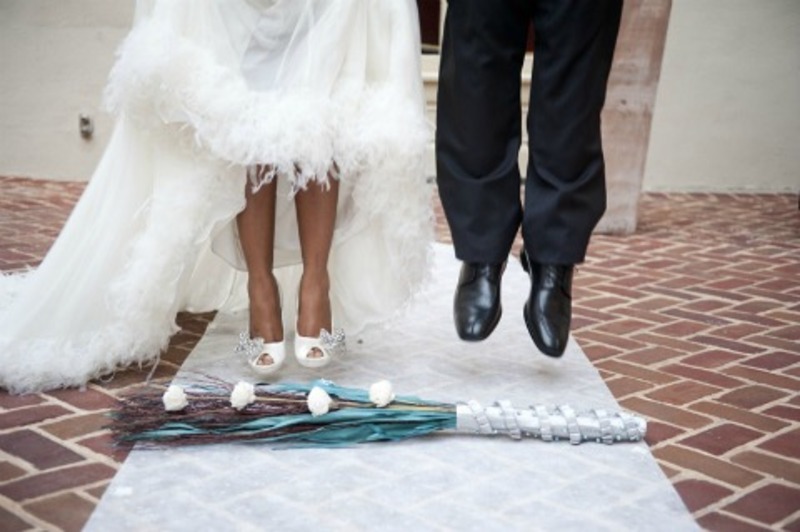 An African American tradition, jumping the broom has been around for centuries. The broom is handmade and decorated with ribbons and flowers. The idea behind it is that you're brushing away everything from your past, and starting fresh and clean in your marriage. In this final example in our list of alternatives for unity candles, we take a look at the unity cross. 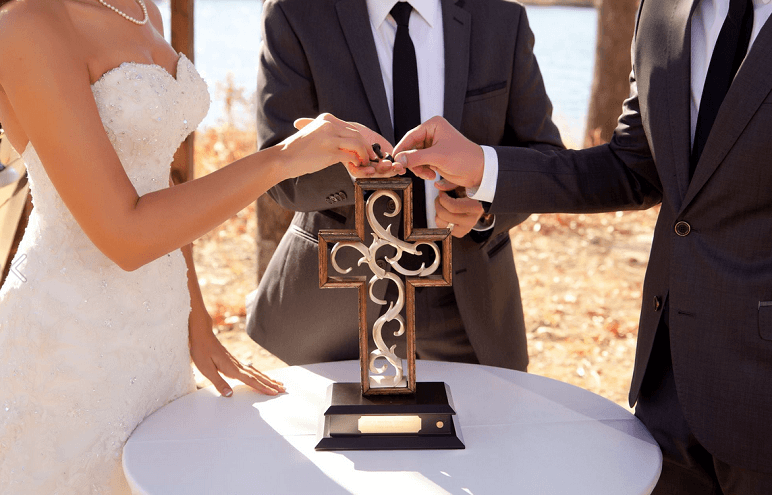 The groom has the outside frame of the cross, and the bride has the inside. Three pins hold it together, and are supposed to represent the father, son and the holy spirit. It's a great extra touch for a religious couple. 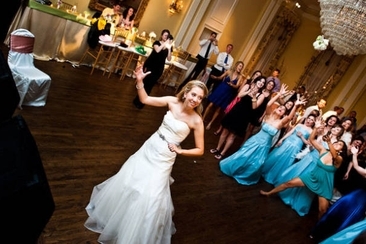 What are some interesting alternatives to dancing at a wedding reception? Check 10 types of entertainment here! 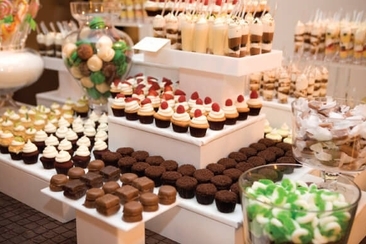 Our wish is to throw a super fun party that guests enjoy totally. Think about bouquet toss alternatives to do away with this traditional ceremony? Here you will get 10 more alternatives and just be as creative as you can. How can you be sure to put the bests wedding registry items on your list with so many things to choose from? 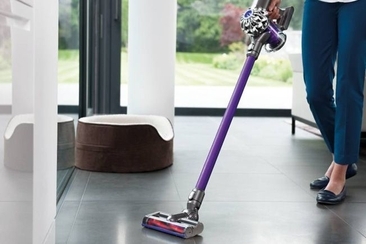 We’ve covered the top 15 items you won’t want to leave off registry list.